T-shirts with short sleeves are essential all year round. Some of the best t-shirts to play sports in are made with moisture-wicking properties. Shirts like these are the best at keeping the athlete cool and dry, despite heat and perspiration. The best performance t-shirts are in 100% polyester or cotton/polyester blends. The Champion CW22 Men’s Double Dry Performance T-Shirt is a basic, standard weight, 100% polyester single knit performance t-shirt. The double dry moisture-wicking properties keep the athlete cool and dry during activities in all kinds of outdoor conditions. This shirt is available in a variety of seven colors and six sizes ranging from S-3XL. For a more in-depth look at men’s performance t-shirts, check out our Polyester Performance T-Shirts Comparison Page. The comparable women’s style is the Champion CW23 Women’s Double Dry Performance T-Shirt. It is has the same fabric and moisture-wicking finish as the men’s style, but it is designed with a better fit for a female. 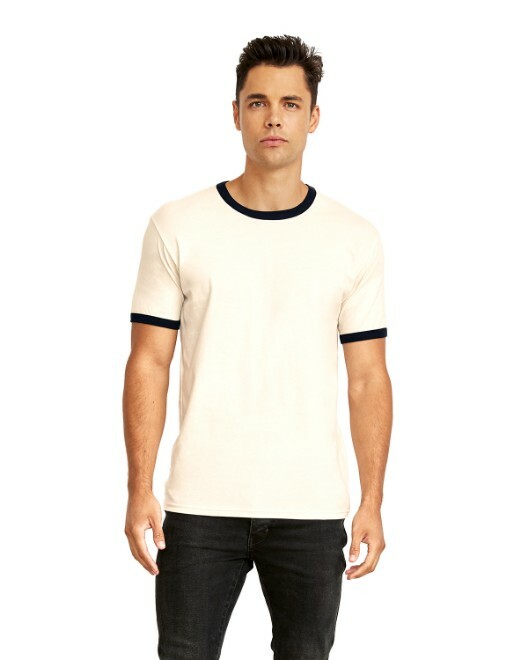 The sleeves are sewn in on a diagonal, or raglan, style as opposed to the vertical, or set-in, stitch of the men’s t-shirt, and it has a v-neck as opposed to the men’s crew neck. It is available in seven colors and five sizes ranging from S-2XL. The youth style of this performance t-shirt, Champion CW24 Youth Double Dry Performance T-Shirt, has the same set-in sleeve and crew neck as the men’s style, also with moisture-wicking properties. It is available in seven colors and four unisex youth sizes ranging from S-XL. All three of these styles would be smart options for making team t-shirts. Check out our article on Screen Printing on Polyester for some useful tips to help you out in printing numbers, nicknames, and team logos on your performance t-shirts! It is always a helpful to have longer sleeves for chillier days. Depending upon the weather, it is smart to have options for layering as well as fitted long sleeve shirts. 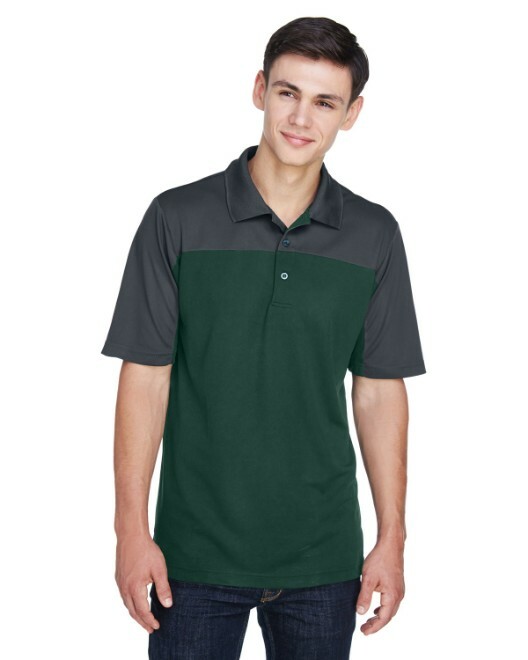 A smart choice for layering is the Gildan 8400 5.6 oz. 50/50 Ultra Blend Long-Sleeve T-Shirt. This jersey 50/50 cotton/polyester blend is a great choice for the warmer yet chilly days of fall. The standard weight will keep the athlete warm without a stuffy feeling. 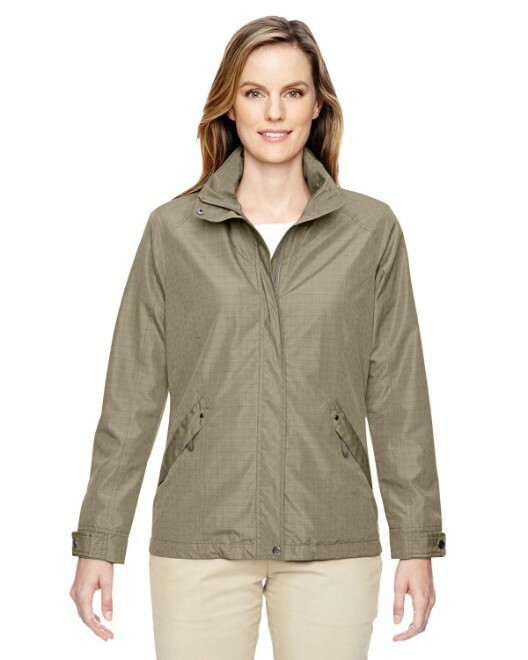 The cotton fibers ensure breathability, while the polyester fibers add durability. The t-shirt has moisture-wicking properties, and the double-needle stitching fashions durability and a cleaner look. This Gildan t-shirt is available in nine colors and six sizes ranging from S-3XL. The Gildan G540B Youth 5.3 oz. Heavy Cotton Long-Sleeve T-Shirt is a standard option for children. It is 100% preshrunk cotton for a soft shirt that will not shrink after washing. This t-shirt has double-needle stitching throughout for added durability, and ribbed cuffs for extra warmth. It is available in nine colors and four unisex youth sizes ranging from S-XL. 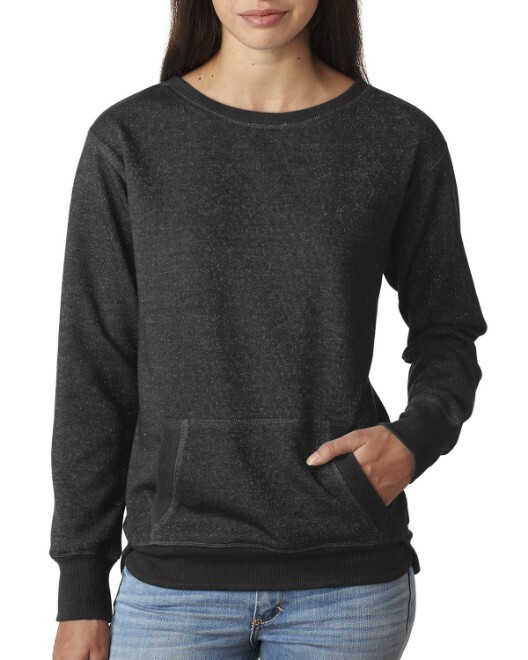 Hooded sweatshirts are great to have on hand in the fall and winter. Not only is the sweatshirt warm, but the hood helps trap heat as well as protect from falling raindrops. The Gildan G185 7.75 oz. 50/50 Heavy Blend Hoodie is a nice basic pullover. It is 80% cotton and 20% polyester for breathability and durability. They yarn is air jet yarn, meaning it was spun with special technology so it is virtually “pill free,” and will not become “pilly” with multiple washes. The hoodie has a kangaroo pocket in the front for convenience. The hood is double lined for extra warmth and strength. The sleeve cuffs and waistband are ribbed and part spandex. These spandex fibers allow for repeated stretching to over 500% its natural size and will still return to its original size. This hoodie is available in twenty-six colors and eight sizes ranging from S-5XL. For a more in-depth look at pullover hoodies, check out our Pullover Hoods Comparison Page. A similar Gildan hoodie, available with a convenient zipper is the Gildan G186 7.75oz. 50/50 Heavy Blend Full-Zip Hoodie. 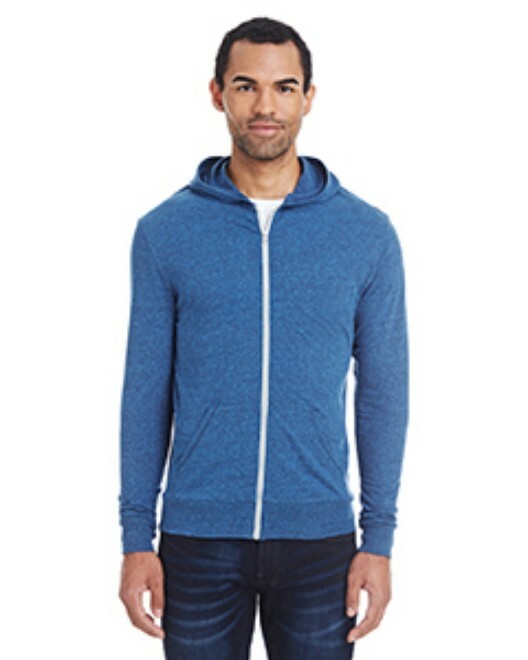 This hoodie has the same 50/50 cotton/polyester fleece with the specially spun yarn to prevent pilling. It has a split pocket in the front, an unlined hood, and spandex in the sleeve cuffs and waistband. 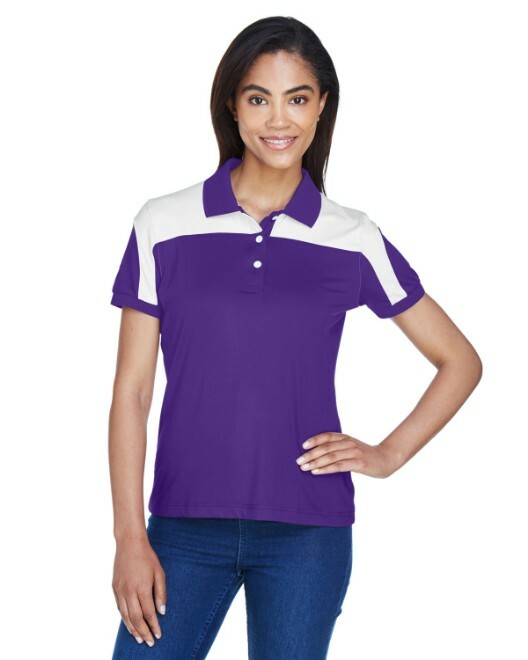 It is available in sixteen colors and six sizes ranging from S-3XL. For a more in-depth look at full-zip hoodies, check out our Lightweight Full-Zip Hoods Comparison Page. Shorts are convenient to have all-year round. The Champion 8187 Cotton Jersey Shorts are a staple of any athlete’s gym bag. These 100% cotton jersey shorts are designed for comfort and mobility. They have a six inch inseam, an elastic waistband, and a drawcord to provide the perfect fit at any time. These shorts have a jersey knit and double-needle stitching for added strength. They are available in eight colors and six sizes ranging from S-3XL. Mesh is another very common fabric for athletic shorts. The Champion 8731 Polyester Mesh Short is a basic yet versatile pair. Mesh is defined by its net-like form, which allows for breathability. These 100% polyester mesh shorts have a full athletic fit, an elastic waist, and a nine inch inseam. These Champion shorts are available in seven colors and six sizes ranging from S-3XL. When the temperatures are truly cold enough for pants, sweatpants are a great choice. The Champion P2443C 9oz., 50/50 Sweatpants are a standard pair of sweatpants. They are a 50/50 cotton/polyester blend. The blend allows for breathability and durability, in addition to its low moisture absorbency for quick drying. The pants have a drawstring and an elastic waistband for a strong and comfortable hold, and there are banded cuffs at the bottom. These pants are available in three colors and five sizes ranging from S-2XL. While a lot of men’s athletic wear can be considered unisex, women’s athletic wear provides a much better fit and more comfort. In terms of shorts, the Champion 3393 Women’s Active Mesh Shorts are a great option for all types of sports. These tagless shorts with a five inch inseam are made of 100% polyester mesh for extra comfort. They are available in four colors and five sizes ranging from S-2XL. Regular unisex sweatpants like those described above in the men’s section are great for layering over shorts, but for the colder days, it can be nicer to just wear one pair of fitted athletic pants. The Hanes W550 Women’s 8 oz., 80/20 Open-Bottom Fleece Pant are a nice, fitted pant. The 80/20 cotton/polyester blend is a soft and breathable yet flexible fabric. These pants have a hemmed waistline with a drawcord for the right size at any time. They are available in eight colors and six sizes ranging from S-3XL. Capri length is great for fall days, and the Bella B815 Ladies’ 8 oz. Cotton/Spandex Capri Pant is a flattering option. These 87/13 cotton/spandex blend pants have a contoured fit for a female. The waistband rolls down to add a bit of extra bit of flair to the athletic style. They are available in three colors and five sizes ranging from S-2XL. Don’t forget to check out our assortment of drawstring backpacks to hold your belongings during your workout and our winter accessories section for when the temperatures really drop!